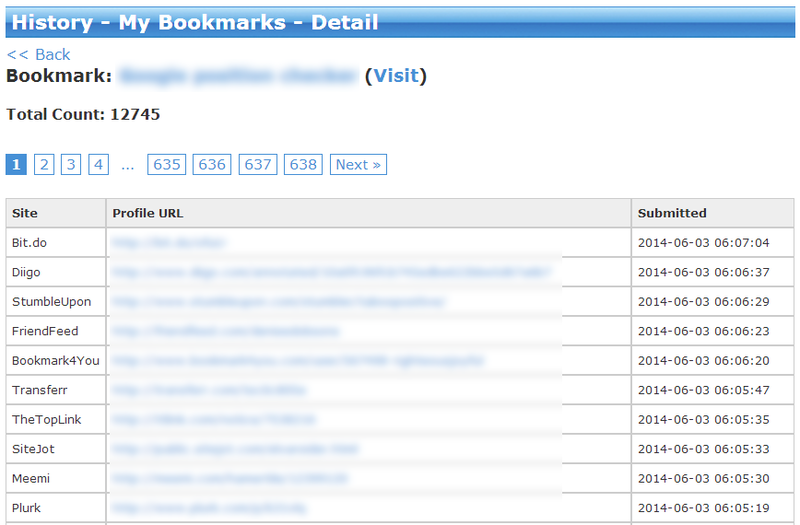 We’ve just rolled out an update to the My Bookmarks page, so that it’s easier to get to the submission history for each bookmark. Simply click the link on a “Submissions” column link and you’ll be taken directly to the History page where you can view the complete details of its social media submissions. We’ve just setup a new support portal, using desk.com, so that support tickets are tracked better, there’s an easily searchable knowledge base, and you can view the status and history of all your requests. It was a long time coming. Truth be told we started development on Facebook integration in 2010. Unfortunately there were some technical challenges that put the project on hold. One of our main concerns with integrating a new social media service is the whole “footprint” issue, as well as the possibility of accounts being banned for “spam” or for being “too promotional”. So these issues presented several challenges when it came to Facebook. The good news is, we’ve finally rolled it out and we believe our solution will be effective. Subscribed members can now receive Likes on their URLs. What do I need to do to receive Facebook Likes? If you already have a ‘Lazy’ account, absolutely nothing. If you don’t, you just need to upgrade. Free members cannot receive Likes. Where can I view the history of Likes I’ve received? How many credits does it cost for each Like? It’s based on the number of Facebook friends the user who clicked Like has. 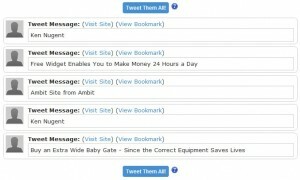 Example: A user has 356 Facebook friends and clicks Like on your URL. You will lose 8 credits. How can I opt-out of receiving Likes? You can disable Likes for all your bookmark URLs here. How do I add my Facebook account to SocialAdr? Head over to the Setup Wizard page and authorize the SocialAdr Facebook app. Then you’ll see the Like buttons on the Share Queue page so you can start clicking them to earn credits. How many credits do I earn for each Like I click? It’s based on the number of friends your Facebook account has * a multiplier that’s related to your account type. For ‘Free’ users the multiplier is 0.1 (this is the same as when you share bookmarks). Example: A ‘Free’ user has 356 Facebook friends and clicks Like. She will earn 8 * 0.1 = 0.8 credits. Where can I view the history of Likes I’ve clicked? The rollout of Google +1 is SocialAdr release v2.72. We heard your requests for Google +1 and took action. Subscribed members can now receive Google +1 clicks on their URLs. 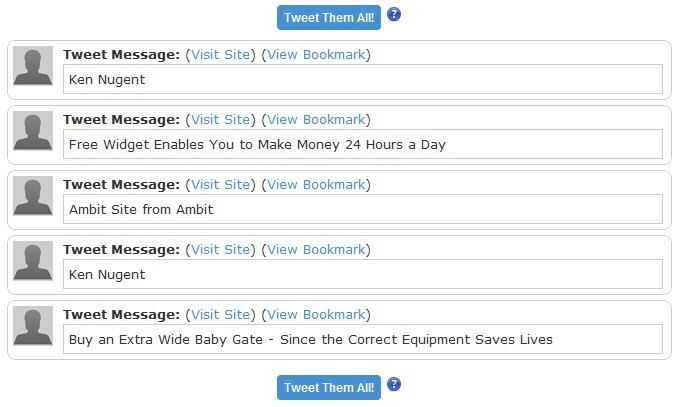 We believe this addition to our already awesome list of social media sites will be huge for your rankings and traffic. What do I need to do to receive Google +1 clicks? If you already have a ‘Lazy’ account, absolutely nothing. If you don’t, you just need to upgrade. Free members cannot receive +1 clicks. Where can I view the history of +1’s I’ve received? How many credits does it cost for each +1? Only 10 credits. We believe this is very competitive based on the pricing of other +1 services. How can I opt-out of receiving +1 clicks? You can disable +1 for all your bookmark URLs here. The rollout of Google +1 is SocialAdr release v2.68.